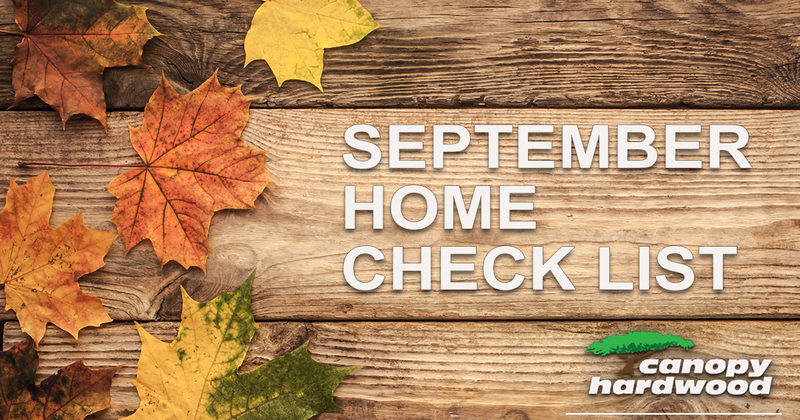 September is here and so is your home checklist! Check out what you need to-do this month as we transition to fall. If you have older windows it may be helpful to replace weather stripping to help retain heat and stop cool drafts. If you use a window air conditioning unit its time to either remove them or cover them up for protection. Removing them is the better option because it will allow the windows to close and keep cold air out and warm air in. No matter what time of year always check your smoke and carbon monoxide detectors and replace batteries as needed. If you have a fire extinguisher be sure to check the expiration date. Whether you use a wood stove or fireplace for warmth or even appearance now is the perfect time to stock up! And when you are storing it try to avoid leaning it against the house so no insects are encouraged to come in from the cold. Create a clean and organized space for your kids to focus on completing their tasks. Ideally with a big surface for spreading out projects! Read more about Selecting Hardwood Floors For Children. Before attempting to clean your leather furniture you need to know if your leather has a finish or not. For unprotected leather less is more. Wiping it down with a dry cloth is all it takes. For protected leather you can apply a commercial leather cleaner with a microfiber cloth. Be sure to test a small area first. Take this time to organize clothes for this season. Put away those shorts and pull out the sweaters. You may also decide to donate clothes that you no longer wear. Wait until the majority of leaves have fallen to take a day to clean out the gutters in preparation for rain this winter. Schedule a fall/winter maintenance appointment for your heating system.